What kind of packaging does your product come in? NO! Absolutely not! I love animals way too much for one thing; but actually, there is really no reason to do any of that type of testing on my product because ALL of my ingredients are completely harmless. In fact, most are used as ingredients in different types of food preparations. Does Sherry Lydon Cosmetics have anything to do with Max Factor? No! My company is not affiliated or associated with Max Factor or its parent company, Proctor & Gamble in any way whatsoever! Do you have a store where you make your product? No, unfortunately not. Since I specialize in only one product, it would not be feasible to open my own store. 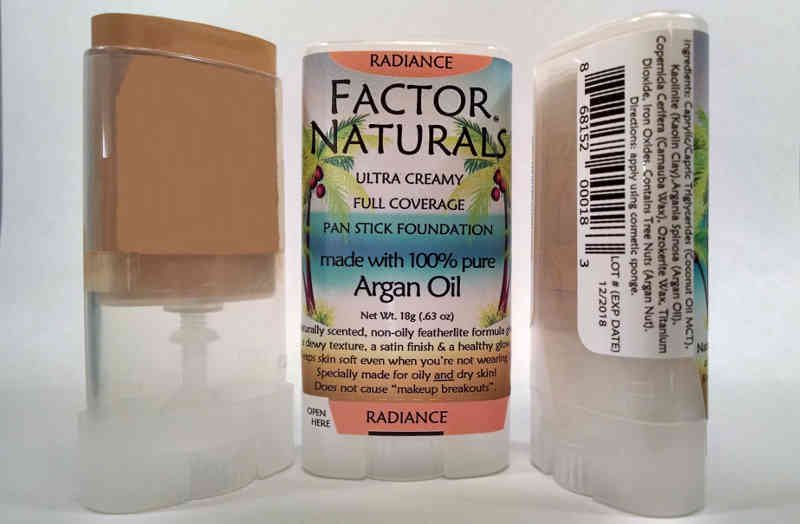 Will you sell Factor Naturals wholesale to retail stores? Yes, if you are interested, please email or fax us with your inquiry. You say your product contains sunscreen. What is your SPF rating? According to the FDA, in order to claim a specific SPF rating on a product, you have to adhere to Federal Government regulations and standards. Their standards for measuring SPF is to specify instructions to apply a consistent thickness of the product. This thickness is two milligrams per square centimeter; therefore, I would have to include instructions on my label as follows: “Evenly apply a liberal amount 15 minutes prior to sun exposure. Re-apply a liberal amount every two hours.” For a cosmetic foundation, this would not be reasonable or acceptable. Some forms of Titanium Dioxide are considered dangerous to use. How safe is yours? You would be referring to the size of the Titanium Dioxide particles being too small. Yes, nano-sized particles are considered toxic because their small size can penetrate the skin and enter the bloodstream and your vital organs, thus becoming a toxic substance to your body. But you can rest your mind at ease with your purchase from Sherry Lydon Cosmetics because we buy our Titanium Dioxide from one of the largest suppliers of cosmetic ingredients in the United States. Our vendor only sells ingredients used for products applied to your body – nothing else!